Read Part I here. In this second of a three-part, cross-sectoral dialogue series on “best practices,” PASS Managing Consultant Brian Ursrey and PASS Advisory Board Member Andrea Bednar discuss the tension between accountability and trust. How do you ensure that staff fully adopt a practice without compromising trust and professional autonomy? In three detailed case studies from the for-profit and nonprofit sectors, Andrea and Brian lay out a key strategy for probing and resolving this tension. Andrea Bednar: People don’t want to be dominated by practices or processes. Many feel, “I don’t want to be told it has to be a half a cup of water. I might think it should be three quarters and I should have the freedom to make that choice.” And true, in some cases you may need to have the autonomy to do that—but our minimum level, we establish half a cup as our rule. I think this illustrates a significant point: with specificity comes accountability. If a practice is to just “sign off,” I have the freedom to check everything if I want, put my hands on three of the five steps if I want, or just sign my name if I want, or any number of other permutations. If the practice is that I must touch each of the five steps and visually verify with my own eyes before I sign my signature to the job—now I’m accountable for not just doing it any old way I want to do it in the moment. Brian Ursrey: I’ve experienced resistance when we’ve tried to implement that level of specificity in a practice. I’ve heard, “I’m a professional, you should trust me to do my job. I don’t need to be told exactly how to do that.” On the one hand, I can appreciate that—because as a professional, I have similar feelings about my job duties. However, the obverse of this situation is that we wouldn’t have to be implementing new best practices if we were already doing them. In some sense, the activity of implementing best practices implicitly acknowledges that something isn’t being done in the best way. And you’re right, people don’t like that, because it creates more accountability, and professionals want to feel trusted and empowered to do their job as if they’re not a machine drone that has to be given every little input. Andrea Bednar: Exactly. It’s a legitimate concern—especially when you have highly trained, highly skilled, and/or highly paid staff. One of the ways I go about working with these issues is to let people design their practices. 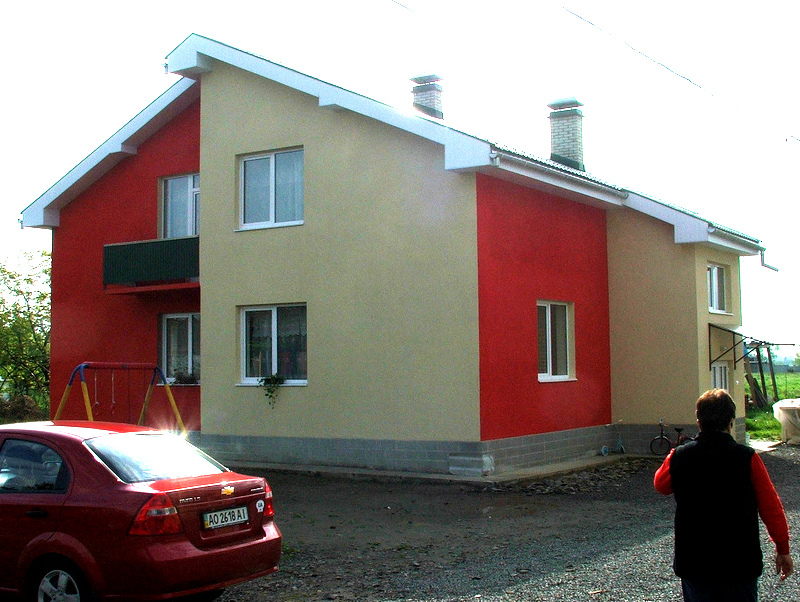 For example, I was working recently with a small technology company. They have six partners, and one of the partners is the founder. They were very successful for 13 years. But after these successful years, technology was changing, and the specific products they were consulting on were being supplanted in the marketplace. This is the point I was brought in. We created working group, as partners. I did not tell them how to do things, because I’m in expert in crafting practices, not an expert in their business. We began by looking at what they believed they needed to do. First we created the high-level goals. From there we began brainstorming: what activities would achieve their goals. Once we had identified some activities, we critically evaluated each one, because frequently the first identified solution is not necessarily the most strategic or the most effective. People will almost always give you their preferred solution to a problem. So we really thought about some of the solutions we developed. Then, as a team we crafted the practices, and identified five practices for sixteen weeks that they all had to do. Additionally, they each had some individual practices increase their productivity. We also had to establish metrics to know if the practices were working. They had plenty of contracts, but they were looking for contracts in a new product line, so new contracts became a metric for them. As a baseline, they normally secured five contracts in a year, without focusing on that product. The partners decided to set a goal of 15 new contracts over 16 weeks. Honestly, I thought that goal was too high, but I believed they knew their business better. From here, the practice was crafted very specifically. Each of the partners would spend a certain amount of time getting certifications in the new product lines. They had to do it every week. They had to report to the working group how many hours they had done and when they completed each certification. Then they had to have so many conversations per week about the new product line with existing customers, and so many per week with potential new customers where they specifically talked about one of these three new products. In the first six weeks, they were at 15. Brian Ursrey: That’s a stunning success. It’s genuinely amazing how significant results can be achieved by being purposeful in your activities. Andrea Bednar: Right. They said, “Okay, well, we’ve shot that out of the water and we have 10 weeks to go.” So they increased their goal to 20, because they thought maybe they were just having a burst of speed at the beginning. They finished their challenge this past summer and finished 32 contracts, 24 of which had been signed and accepted. Initially, the goal was only to put out the contract; it wasn’t even to get any business. 24 contracts were signed, when normally they would have even only put out five contracts in a year. Brian Ursrey: I recently had an example where we implemented a new metric system for a nonprofit’s major gifts team. One of the problems identified internally was that their solicitation amount was generally rather low. They were great at getting a large number of solicitations from the major gifts team and a large number of gifts, but they were all generally low gifts. We analyzed the portfolios the gift officers managed—their accounts if you will—and discovered they were focusing highly on maybe five or 10 accounts in their portfolio, out of approximately a hundred accounts. The vast majority of their accounts were not getting sufficient attention. We did something very similar to the practice you just talked about – we created a metric where they had to have so many conversations with new clients every week and had to have so many conversations with existing clients every week. Your client had the goal of getting out so many contracts. We did the exact same thing. We established goals for all of the gift officers regarding the number of solicitations they would make for $25,000 or greater. In fact, we created that level; a $25,000 level had not really existed for them as a threshold, so now they were pushing themselves to ask for larger gifts. Additionally, they were not only asking for larger gifts, but also they were tasked with closing those gifts at about a 50 percent rate. One year later, the gift officers found the way we worked to design the system, and it pushed them to get deeper into their portfolio. Instead of just having conversations with the five or six people that were easily accessed, they had goals that they had to meet, and they really worked at getting meetings with donors with whom they haven’t met in a couple of years. It really helped. They went from having meetings with roughly 40 percent of the people managed in their portfolio to about 80 percent. They basically doubled it. The number of solicitations at a $25,000 or greater increased by over 60 percent, and they managed over 30 percent more gifts closed at that level. Andrea Bednar: Absolutely. As we talk, I’m reminded there are many things in the sales industry, and perhaps in fundraising, where people have been working with practices such as, “How many calls will I make each week?” That is a measure, but what is the practice involved with making the calls? Is it that they will say hello first? Is it that they will ask about their children, their family, or thank them for last year’s contribution or something? Or is it none of the above? Maybe details like this matter, and maybe they don’t—in some cases it takes a deeper analysis to see the causal connections. As another example, one of the clients I assisted was a large, upscale restaurant. They had values they wanted their employees to reflect in their work. Some employees were “walking the talk,” but many were not. We did some initial background work that wasn’t directly related to practices but rather related to values. We did this because we wanted practices connected to their individual and corporate values. One of our initial findings was that several of their corporate values were not values commonly held by the rank-and-file staff. They were good values, but not ones easily understood by the majority of their staff, because they wouldn’t be the same values that their employees would tend to hold. We identified the values of the average employee, because they have a pretty consistent age range in a restaurant. Not every business has this situation. Then we analyzed the values of the employee group and looked for practices which were consistent with the values which the leadership team could adopt. Together, we developed a series of practices the leadership team implemented. The impact was huge. After developing the practices, we turned to evaluating those practices, ensuring they were delivering the results we wanted. Initially, leadership chose some of the usual items, like “sales would go up in the restaurants.” I suggested we look at things like attrition, sick days taken, the number of complaints that your staff is willing to forward along to management. Importantly, this focus on measures other than sales in needed, because otherwise the attention is going to be directed in order to increase sales, and that is not the why we implemented the practices. The practice should be for the practice’s sake. Once you create the practice, you have to do the practice—not just do it to see if you can get that result, because that’s not going to always work so cleanly and obviously. But best practices should work, and the problem becomes, because it does work, that people believe it should be successful every time, and they start doing the practice like ticking the box, like signing, without paying attention to the detail and specifics of the practice. Brian Ursrey: It’s the notion of intentionality and mindfulness. To use some philosophical language here, the practice has to be an end of itself, not a means to something else. Andrea Bednar: Right, and it doesn’t start off that way. That’s one of the hard parts—you have to have people who are willing to shift their thinking a bit. 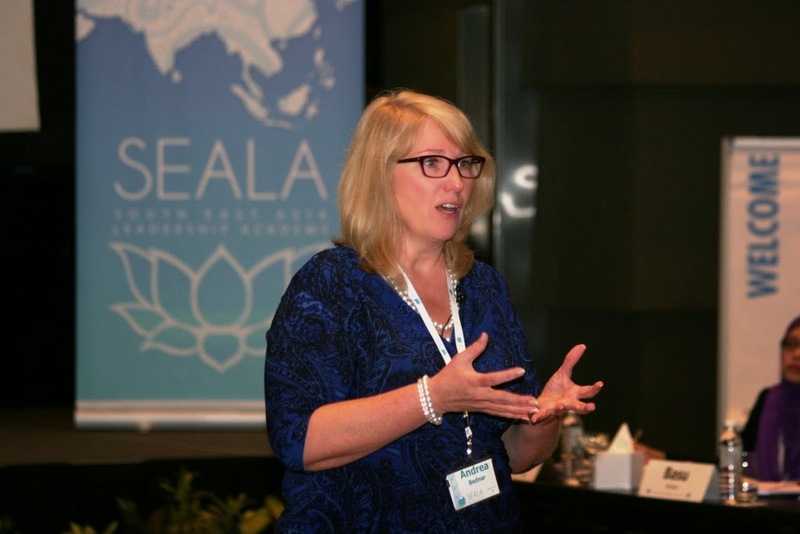 Cover image: Andrea Bednar facilitating a workshop at the Southeast Asia Leadership Academy. Andrea Bednar is a PASS Advisory Board member and founder/CEO of PoP Associates. You can follow her writing on conscious business leadership at Instagram, Twitter, and LinkedIn. No Replies to "BEST PRACTICES, PART II: PRACTICE BY DESIGN"